Our series on the Mormon Church was not about political issues or Mormon bashing–but an honest look at the beliefs of a religious system that uses the same words as the historical, biblical Christian faith, but that has, by their own writings, VERY DIFFERENT meanings in those words. That we put our faith into the real, historical Jesus is an issue of incredible importance. That we understand our historical, Bible-based faith well enough to know what makes it different from other faith systems is why we’ve done the class. Our prayer is that you’ve learned why you believe what you believe from the class–and will be able to tell the difference between the historical, Biblical Christian faith and the many competing systems in our world. Check out the notes and additional resources below and grow strong in the true Christian faith. Click on either image to download either full-page slides or notes. After the notes is a short video that overviews additional resource sites and finally there is a PDF page that you can download that has the site URLs shown in the video. Below is a list of PDF of links, just click on the image to download the list. In addition, here are a few of the books used for resources. There are many good books out today about the false teachings of the Mormon Church, but these are a good start. If you can only read one book, Mormonism 101 is the best one. Just click on an image to go to the amazon page for the book. 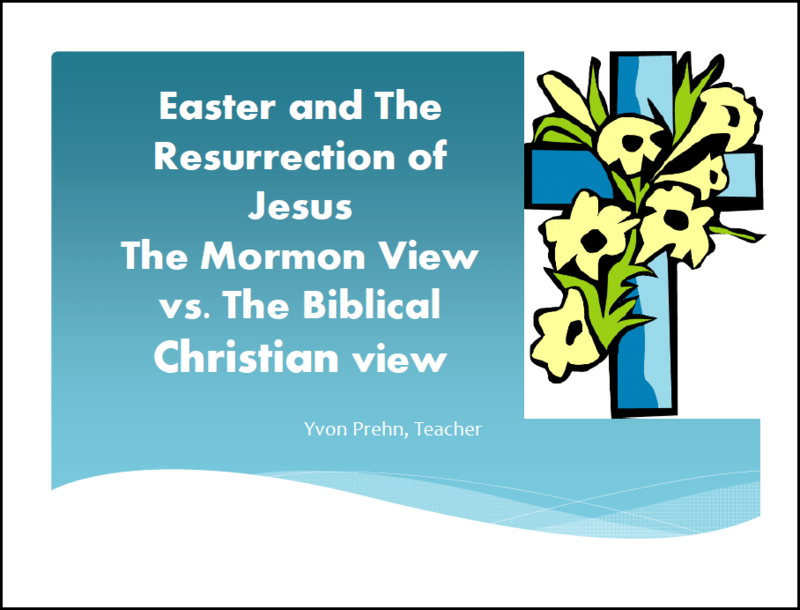 Why do the Mormons believe that God the Father has a physical body in contrast with the Biblical Christian view that God is Spirit? This and many more views about God that differ from are based on how each church interprets the Bible. The lesson notes that follow show the difference, plus give some extra teaching on how to interpret the Bible correctly.